You don’t have to go very far in a historical conversation without broaching a sensitive or controversial subject. This century had been filled with tragedies, and even talking about some of them "too soon" has been considered controversial. I hear it was quite a number of years before one could bring up the subject of the Titanic without getting strange looks. But I can’t think of too many things more controversial than releasing a game in Germany that is set in World War II. CDV Software Entertainment has done just that. Based in Germany, they have produced a game called Sudden Strike, a real-time strategy (RTS) game that takes place throughout WWII. They are planning a U.S. release next month, but have already taken a bit of criticism, not for the workings of the game itself, but for the era of its background. Is it "too soon" for a WWII game in Germany? How will this game be received in other countries? In an effort to find answers to these questions, GiN spoke with Silke Heil, the International PR Manager for CDV. Silke had a lot to say about CDV, international marketing, and surviving controversy. GiN: What is your new game, Sudden Strike about? Heil: Sudden Strike is actually a realtime strategy game based on the historical background of WWII. 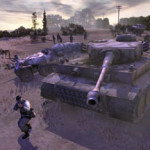 Three campaigns are played from the Allied, German and Russian perspectives, plus there are single and multiplayer missions available with up to 12 players battling it out on four sides. GiN: How is this different from other real-time strategy games that are on the market? Heil: Unlike most RTS games there is no construction, you either start the game with all your men in the field or new units arrive as reinforcements or parachute in as you progress. Players will get the chance to get straight into action rather than having to follow a hierarchy and keep an eye on resources that tend to drag on. Sudden Strike always keeps the action fresh and exciting. It adds some of the most intense multiplayer action for the RTS genre. Don't just take my word for it, download the multiplayer demo from www.suddenstrike.com and see it for yourself. Vehicle and troop units are all realistically modeled and easily identifiable to the WWII period. The added realism of explosions and different languages catapults Sudden Strike as the most atmospheric war game of all time. Furthermore this game is not about death and violence- but about inventing good tactics and logical ways to fulfill the missions. GiN: How different is it to market a game in Germany than in other countries, such as the United States? Heil: Different countries will have different ideas of what's hot and what's not. Gamers share a universal understanding of great games on the horizon and if there is a demand for it, the market will embrace it. With Sudden Strike, there is a universal theme (WWII) that people know about. It also helps that Sudden Strike is an exceptional game that has gained a mass following around the World not just for its theme, but that it's an outstanding game. With this type of following, it is a lot easier to get into the markets of other countries. 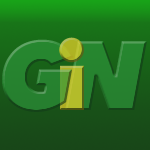 GiN: You plan on worldwide distribution. How many language versions are there of Sudden Strike? Heil: First of all, we did the German version [grins] – then we worked at the English and the French. Next localization will be in Swedish, Chinese and most likely Japanese. If there are others, we do not know yet. I think that we will react to the demand of the game. GiN: Is it difficult to break into the American software market? Heil: In general we would say yes, but with a game like Sudden Strike, which has already lots of fans in the United States, we hope that it will work out. GiN: Why did you decide to produce a WWII game? Heil: One of the reasons that the game is set in WWII is that this is a well-known historical period, not like some time in the future or some unspecified medieval scenario. 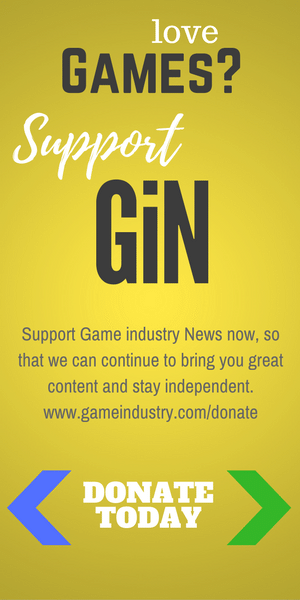 GiN: Are you taking any particular criticism in your home country of Germany for producing a game about WWII? Heil: Yes indeed, we had to take some criticism from people who thought that it would be in bad taste to produce a game with such a historical background. Plus a few magazines are handling this chapter of German history quite carefully. GiN: How does your game handle controversial subjects, such as Nazism, and the Jewish Holocaust? Heil: Well…since the game is not about playing war, but only using war as a historical background, subjects as Nazism and the Jewish Holocaust don’t appear in this game. Of course we do not deny that those things happened during the period of Hitler’s regime, but those historical facts have actually nothing to do with the game. But we did stop the German campaign in 1942 because we didn’t want this campaign to go to the end of the war in order not to give the impression that we want to rearrange history – or rather that we want Germany to win the war. Both of the other campaigns last until 1945. GiN: Does the game educate about historical events of the War, such as the various battles? Heil: No the game does not educate about the War or its historical events. WWII is only a background, so we chose settings or battles that look quite similar. It may give the players an atmospheric feel of what the War was like; one wrong tactical maneuver and it could be all over. GiN: What can we expect from CDV in the future? Heil: The next title we plan to release is actually another RTS game. It is called European Wars: Cossacks. Further ahead we plan the release of an adventure game in December, which is called Mysteries of the Druids, which we are billing as a point and click adventure.